Blastocystis Hominis may sound like some sci-fi or fantasy reference, but it’s an actual parasitic problem natural at a global level. This microscopic organism can cause stomach pains, diarrhea, and other gastrointestinal issues, however, it sometimes leaves no symptoms at all. While the organism is called blastocystis, the infection is referred to as blastocystosis. Originally classified as a yeast, or fungi, it is now known as a stramenopiles, which is in the same class as harmful algae and water molds. It comes from a parasite, and little is known in the medical field. Whether or not treatment is needed, and a lack of effective antimicrobial drugs leaves B. hominis a recognized but mysterious infection. Many people are often misdiagnosed with IBS or a yeast infection, as the symptoms can be similar and lab tests do not always reveal the parasitic activity. Vacuolar and granular forms: the most common type, they have a spherical cell with a large, single vacuole (membrane cavity in a cell). Multivacuolar and Avacuolar: the numbers are more numerous, but are smaller in size and have these small or no vacuoles. Cyst: A resistant, hard form with a thick wall surrounding the structure. Ameboid: A rare form with irregular shapes of the cells that can have pseudopodia attached, meaning that these amoebas can worsen side effects in the person. These different forms only create more questions and confusion when learning about the pathogen, as attributing which forms respond to what remedies, or how each form exactly affects the host body, have yet to be well defined. Not even the lifecycle is fully understood. Metronidazole is the most often prescribed drug for blastocystosis, however not many studies exist to show its efficacy, and the body may build up resistance. This and other medications can irritate the stomach lining, cause inflammation, and risk intestinal permeability if used for extended periods of time. The parasites may disappear naturally within a few days, however some people experience symptoms that involve gastrointestinal problems (diarrhea, bloating, etc.). The problem can last days, weeks, months, and years. If left untreated, these symptoms may occur occasionally, if at all. Whether or not blastocystosis develops into further complications is unclear. Parasites and Vectors published a study in 2008 that noted the absence of consistent, reliable diagnostics may indicate undiagnosed infections, and that it may have a critical role in chronic gastrointestinal illnesses. If the host’s digestive system has increased intestinal permeability, where inflammation causes small, tight holes in the small intestines to expand, which allows particles and pathogens to escape into the bloodstream and be mistaken by the immune system as a threat. 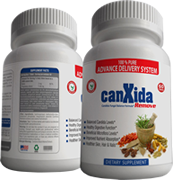 The presence of blastocystis can worsen the effects of this increased permeability, weaken the immune system, and create an ideal environment for candida and bad bacteria to overgrow. Diet, stress management, and other factors should be considered to maintain a healthy gut and eradicate blastocystis. One major concern with blastocystosis is the relationship with IBS (irritable bowel system). Institute of Infectious Diseases and Public Health published evidence in 1999 linking IBS with blastocystis, however whether having IBS increases chances of b. hominus, or whether b. hominus may lead to IBS is unclear. In 2012, Oxford Journals’ Clinical Infection Diseases developed an overview of blastocystis with multiple, contradicting studies sourced. In short, while infections are recognized, diagnosis and medical prescriptions have little evidence for effective treatment. However, natural lifestyle adjustments, diet, and anti-parasitic remedies have yielded good results for those who have suffered long term with drastic effects. If you believe you have blastocystosis, or would like to learn more about natural treatments or my personal experience, please check out my other articles on my website.